1. I think the carnation I got at the Good Life Race is immortal. I have done absolutely nothing to this flower except put it in a vase with water when I got home after the race three and a half weeks ago, and somehow it is still alive. For a brief moment I wondered if I’m just an idiot and put a fake flower in water, but the edges of some of the bottom petals have started to brown, so I assume this is, in fact, a real flower. I guess I never really buy carnations, so I don’t know what their normal cut shelf life is, but compared to the other cut flowers I do tend to buy, this is off the charts. 2. I decided last year that I’d like to try to PR my 10K this year, so with that in mind, six weeks ago or so I picked out (and have…more or less followed) a training plan that, if absolutely nothing else, will have me ready to actually race a 10K, rather than just doing one because 6.2 miles doesn’t intimidate me. We’ll see whether or not it actually notches me the PR I’m hoping for, but at least if I don’t PR, it’s not for lack of trying. Anyway, this training program has me running by time rather than distance, which is the first time since my Couch to 5K days that I’ve done a training program that prescribes the amount of time you should run rather than how far you should run. It’s certainly taken some getting used to! I think I prefer running by distance because if I have to run x number of miles, I can, in theory, get through them and wrap up my workout quicker if I just run faster. Running faster when you have to run for 60 minutes doesn’t make any sort of difference – you just end up covering more ground. I have found that running by time makes me much more inclined to explore, however. While my usual out-and-back mile markers are still relevant, I don’t know how much distance I’m going to cover in a certain amount of time, or if I’ll run the second half of a run at the same pace as the first half, so I haven’t done many out-and-back runs lately. Instead, I come up with a general plan, and then fill in time going up and down neighborhood streets as necessary. In a not-at-all shocking twist of events, I’ve loved this. I haven’t run in new-t0-me areas, but I’ve gone down new-to-me side streets and had lots of opportunities to appreciate (and/or hate) residential architecture in Chicago. Love me some pretty houses. Speaking of running, I was with some people from church on Friday night, and one of my friends mentioned that she had to run 13 miles the following day. I had eight (well, 80 minutes…so about eight miles) on my schedule, and I offered to run those eight with her. She lives nowhere near me, and she had to work in the morning, so we ended up meeting downtown at 2:30 to go knock out eight miles. For those of you who weren’t in Chicago this past Saturday, it was all of like 45 degrees, windy, and rainy basically all day, including the entire time we were out running. We did a loop, meaning we ended up back downtown, and I didn’t even have the patience to wait for an Uber. I grabbed the first regular cab I could and shivered all the way back to my house, where I immediately jumped in a steamy shower before swaddling myself in sweats for the rest of the day. I’ve run in a lot of miserable weather, but I think that might take the cake for the worst thus far in my running career. I hung my clothes up over the curtain rod in the shower to dry, and they were still wet when I woke up Sunday–and these are dri-fit clothes! It was quite the experience, that’s for sure. But I figured it earned me both badass runner points and good runner karma, so I’ll take it. 3. Mother’s Day is coming up on Sunday, as I’m sure you all know quite well, unless your Pandora ads are quite different than mine and have not been trying to convince you that your mother will not feel loved if you don’t buy her flowers and/or chocolates for Sunday. While this has traditionally been the route I’ve taken, this year I decided to go in a completely different direction. What? You mean you’re not getting your mom stuffed red and white blood cells for Mother’s Day? To be fair, this isn’t as off the wall as it seems at first glance. My mom works in a hospital lab, so these guys are somewhat relevant to her interests (or at least relevant to her professional interests). And aren’t they just adorable?! They make me want to become a biology teacher so I can buy them and all their friends and decorate my classroom with them. I got them from GIANTMicrobes, and let me tell you, I have had WAY too much fun looking through that website. I’ve really never been particularly science-y, but I have always been absolutely fascinated by the immune system and diseases, so all of these little plushie cells, viruses, bacteria, etc. amuse me to no end. What’s the worst weather you’ve ever run in? Honestly, I’d take single digit temps over Saturday’s weather any day. Frozen water bottles > saturated clothes. Are you doing anything with your mom for Mother’s Day? I…am not. Other than probably calling to wish her a happy Mother’s Day haha. But I’ll be seeing her the following weekend, so I think that counts. I got my mom a scarf (which she would never buy for herself, but I thought would look really good on her) and a lipstick that she almost bought for herself before I gave it to her (she’ll be out of town, so we did mother’s day a week early). I am going to start timed runs soon, I need it to gauge how I’m doing. Those sound like such thoughtful gifts! I will say, while I prefer running by distance, I feel like running by time has made it easier for me to know where I am speed-wise than just running by distance, at least gauging by my usual 10:00/mile expected pace this time of year. Wow, those are some bionic flowers they are handing out at Good Life! I had a friend who trained for the Chicago Marathon using time-based runs instead of distance. I’ve thought about trying something similar but I’m such a freak when it comes to tracking my mileage. It wouldn’t sit well with me to run, say, 4.89 miles. But I would like being able to vary the intensity at my leisure! Have you picked a 10K as a target race? LOL at the stuffed red and white blood cells – those are too cute! That was REALLY hard for me to get over at first. Before I did training by time, I was just like you – running 4.01 miles would drive me CRAZY. But now at least my times all look pretty, even if my mileage doesn’t. 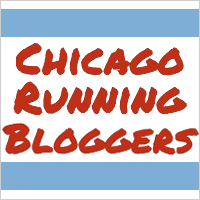 I have picked a target race – the Chicago Spring 10K in two weeks! Fingers crossed the weather holds out and isn’t too hot by then! What 10k are you planning on doing? I hardly ever run 10k’s. The last one I ran was the 2013 BTN 10k which was really fun and I should do again! Plus my PR is soft for me so I could probably snag a new one! I still haven’t gotten my mom anything for mother’s day though I did call her. I won’t see her again for 2 weeks so I am planning on giving her a gift then! I have an idea I just need to go and buy the present! That’s really interesting! I’d expect an Ironman plan to be by distance rather than time. Though I suppose there are marathon training plans out there by time rather than distance, and while that’s not the same thing at all, they’re still both super long endurance events. Plus, while the physical aspect of an Ironman is infinitely more challenging than I think I could ever handle, how long you’re moving is also a HUGE aspect, so I guess it actually makes a lot of sense to do that! I’m doing the Chicago Spring 10K in two weeks. A nice, friendly, out and back Lakefront Trail number. I did the half last year at that race and really liked it. The Big 10K is the only 10K I’ve done for YEARS, and while I do enjoy that race, it’s also during marathon season, so not an ideal time to try to prep for a 10K PR.